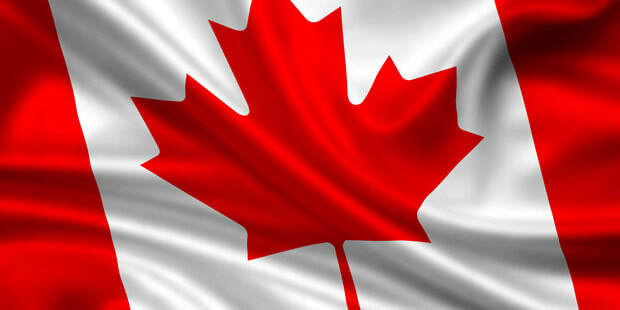 When the Canadian flag is faded, worn, torn, tattered and soiled, it is time to retire the Maple Leaf. The flag should be retired with dignity by folding and placing it into a fire. The national flag of Canada has two vertical bands of red with a white square between them. An 11-pointed red maple leaf is centered in the white square. The red color is a symbol of Canadian sacrifice during World Wars. White is the symbol of peace and tranquility reflecting neutrality and impartiality of Canadians. The maple leaf is a Canadian symbol and was adopted as the national emblem of Canada in 1860. The flag is the symbol of the nation’s unity, for it, beyond any doubt, represents all citizens of Canada without distinction of race, language, belief, or opinion. In 1867, three provinces of British North America – New Brunswick, Nova Scotia, and the Province of Canada were united to form the new nation. When the Canadian flag flies along with the flags of the 10 provinces and 3 territories, the flags of the provinces and territories follow in the order they entered Confederation. This flag once flew proudly. It billowed and floated on its staff through the air. Free, like all Canadians. It flew in bad weather as well as fair. This flag stood on guard for our country. It waved proudly for all to see, flew far and wide over mountains and vales and from sea to sea. Its bright red maple leaf fluttered in the breeze. And we felt pride in our Country. Tonight we must say goodbye to this flag which so proudly flew. Now it is unfortunately unfit for display. It is beyond mending and cleaning and must be destroyed in one piece by burning. Its fabric cannot be used for some other purpose. It is old, faded, worn and torn beyond restitution and deserves and must receive respectful destruction, so it will never fall into vicious and thoughtless hands.